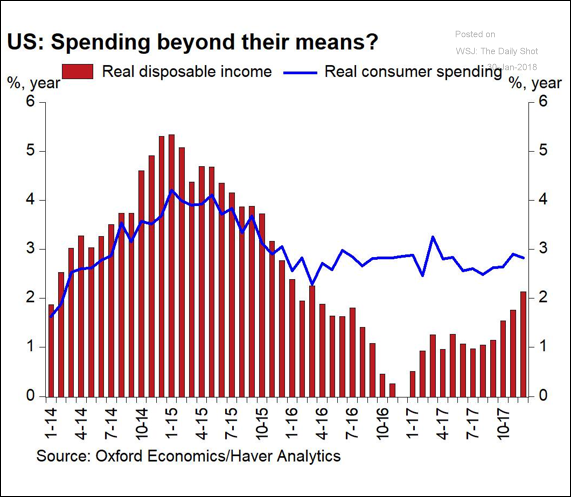 The United States: Will incomes rise sufficiently to justify the brisk consumer spending? 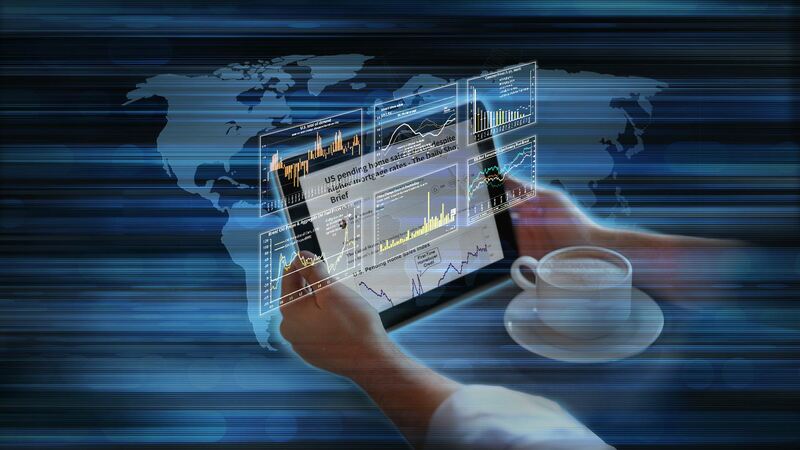 Will it happen before higher interest rates make consumer debt much more expensive? 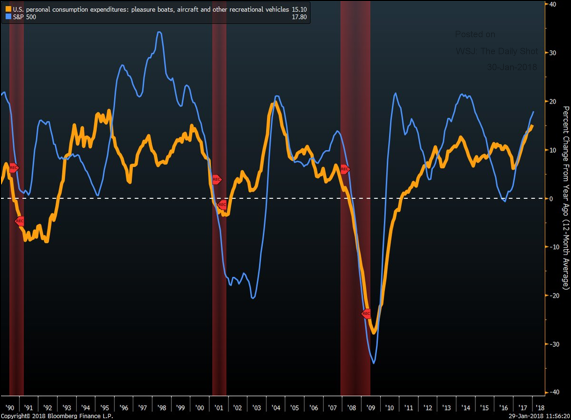 Separately, consumer spending on pleasure boats, aircraft, and other recreational vehicles is rising at the fastest pace since 2005. Is it the wealth effect? 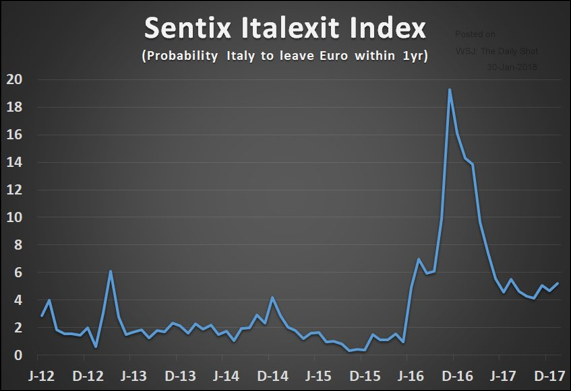 The Eurozone: Concerns over Italy’s potential exit from the euro remain elevated. Some view the situation especially troubling given how much Italian debt the ECB has purchased in recent years. However, are these concerns completely overblown? 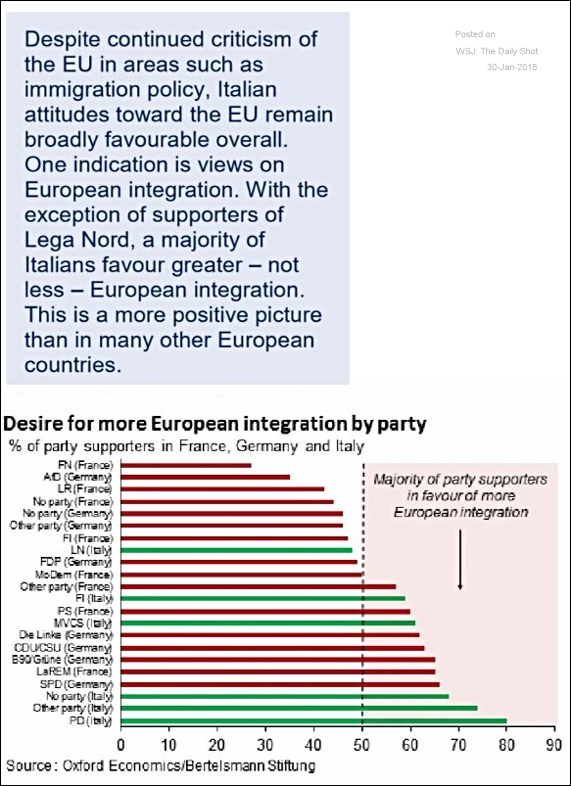 After all, a majority of Italians want to see a further European integration. 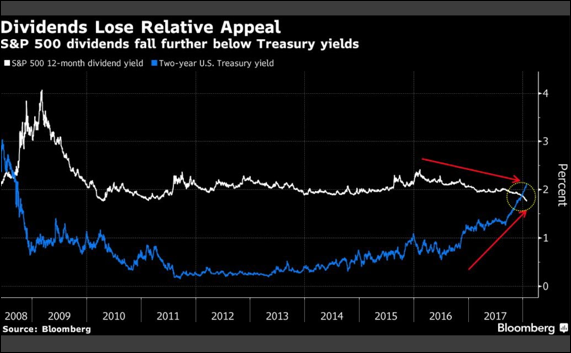 Equity Markets: The 2yr Treasury is now returning meaningfully more than the S&P 500 dividend yield. 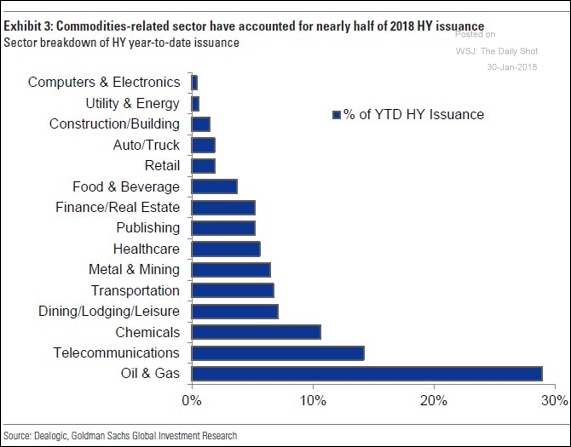 Credit: Last year’s high-yield issuance was dominated by energy/commodity sectors. 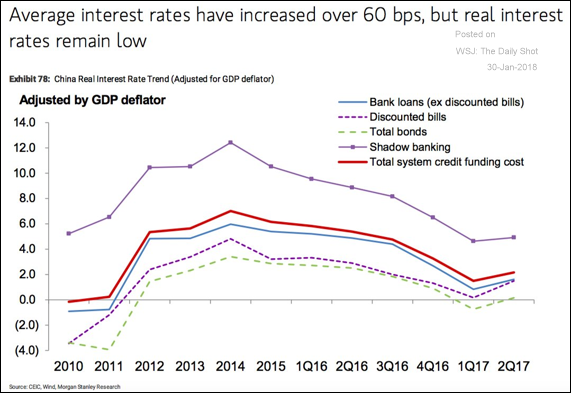 China: Based on the GDP deflator (a broad measure of price gains), China’s real rates are still relatively low. 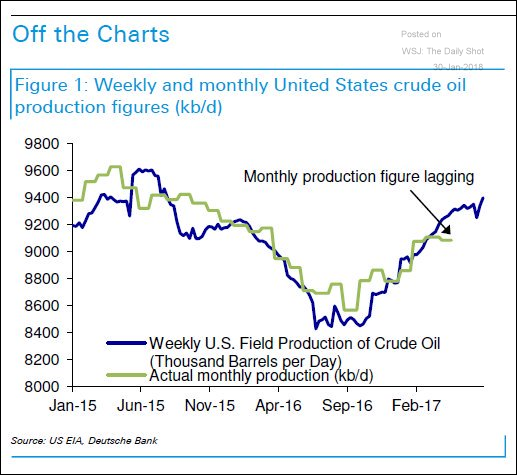 Energy Markets: Have the weekly Department of Energy oil production estimates been overstating the US oil output growth? 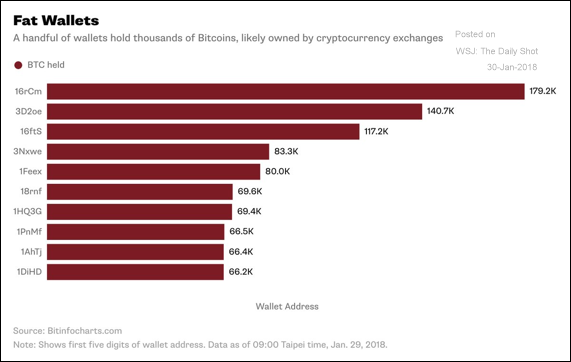 Cryptocurrencies: The Bitcoin market is highly concentrated, with a few accounts holding enormous amounts of the cryptocurrency. 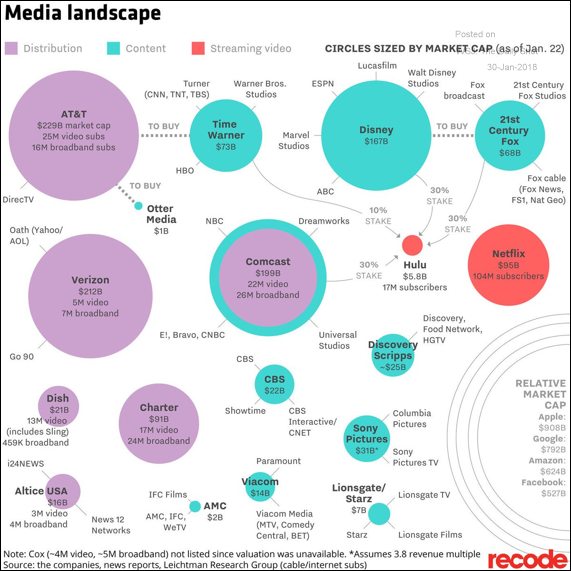 Food for Thought: The shifting media landscape.